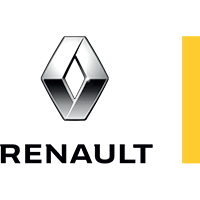 Did you know Renault Shrewsbury and Telford offer a while you wait tyre service? Whether a small business or a household, we can minimise the time your vehicle is off the road and the time you spend shopping around by offering expert tyre advice and highly competitive fully fitted price including tyre, balancing, valve, VAT and disposal of the old tyre. Tyres play an important role in accident avoidance, and improving fuel economy. It’s estimated that a third of cars and vans in the UK have underinflated tyres. If you have a concern about your tyres, - perhaps you’ve recently hit a pot hole, struck a curb or road debris, resulting in vibrations from your steering, your car or van is pulling to one side or you just can’t remember the last time you had your tyres and wheel alignment checked.